It’s Spring Break! I have some time, readers. I have pretty well determined I am jumping off of the DC Comics at this point. I am not going to read Convergence. I feel I have collected enough comics. In fact, I have a nearly complete collection of Batman comics from the New 52. This is a good stopping place for me…I recently purchased a “drawer box” and moved my MOTU comics to that box. The other three top loader boxes I have a almost completely full. I have been very devoted to reading Batman titles. The only titles I skipped were “Batman Inc.” and I didn’t read all of “Batman: Dark Knight.” logically, I felt Batman, Inc was a holdover from the old DC Universe…the universe I didn’t read. I also didn’t think the art was as good as the other titles. I hated that they killed Damien in those pages. I eventually purchased a copy of that issue. I am going to start cherry picking comics. Maybe picking up graphic novels. Doing more digital comics. And I will continue to get Masters of the Universe comics. I am a SLAVE! I have two reviews to offer here at the end. One positive. The other not so much. Lets start positive. Batman Eternal ends with an oversized final issue, finally revealing our secret bossman as Lincoln March and tying up the loose ends of “what happens next” with the different characters. What I really liked about this issue was the beating scene, where Lincoln tries to take out Batman when he is tired and weak. But Bruce proves to be the stronger fighter. And when the city people rise up and fight down the evil people that are burning down and pillaging the city, this answers the question about whether Gotham really is a victim…a city of good people ravaged by criminals. I like how Batman’s allies rally around him, including Jim Gordon, to bring in Lincoln. Other points of interest…In the “One Week Later,” Tim Drake and Stephanie Brown seem to find the beginning of their romance. The Court of Owls takes Lincoln March back under, explaining their appearance in Endgame. This feels like a good closing to a series that is fifty-two issues long. And the dedicated reader is rewarded with more details about the Court of Owls. 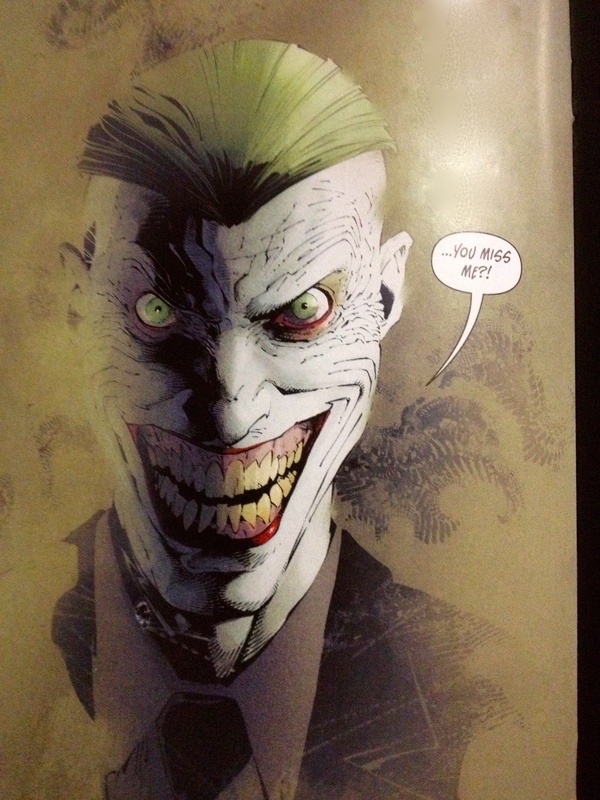 There is supposed to be another Batman Eternal series on tap soon. I am going to miss that one, though. All around, I feel like I got my moneys worth, which brings me to the next not-so-positive review. This is the worst ending I have ever read in comics. EVER. I am going to try and keep the four letter words down…but that is how strongly I feel about it. Mad enough to cuss. Really, when you read every issue, weekly for 48 weeks straight, and then you are rewarded with the ending we have here. Oh yes. Reason to be mad. This book has been a terrific read. Why such a dumb ending? Really. UGH. So why am I so disgusted? Two issues ago, Terry McGinnis was killed. OK. Fine. I haven’t ever been a Batman Beyond fan. But I like what they did with him. 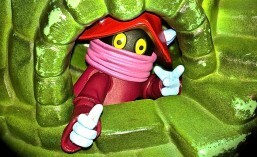 And I enjoyed the unlikely romance between him and Plastique. So Tim Drake takes his costume. I’m OK with that too. He is certainly worthy. But next is where the rushed writing, nonsensical ideas, and the flat ending all come in. In issue 47, Tim Drake (Batman Beyond) goes back in time to prevent Brother Eye from terminating humanity (just like in Terminator, oh so cliche’.) They wind up having a conversation, and Brother Eye, seeming still to be a “good guy”, agrees to preventing the action that triggered it all. Then Brother Eye uses his time travel capabilities to send Tim back. We are greeted with a final panel of issue 47 with Tim in a situation where a peaceful light is shining on him. Nothing more. So I was hotly anticipating what would happen next. Tim would find the world fixed. etc. In issue 48 we see what that peaceful light was. The reader thinks “Oh yeah. Heroes save the day.” And we now have a nice happy conclusion to the New 52 timeline. IF ONLY THIS WERE TRUE. I’ll admit I was a little thrilled when Maddison’s eyes turned into Brother Eye’s eyes, and her speech text became red. The peaceful landing that Tim received was apparently a ruse. Brother Eye intended to trap him and assimilate him as one of his bugs. So the real madison jumps in, is thirty years older, and Tim is apparently now in the 35 years in the future timeline, where the whole thing started, not in the year he was supposed to be returned to. Basically there is a resistance against the machines, led by Madison, they manage to escape. But the book ends with Brother Eye looking down on the ruins of the city. So the heroes failed? Brother eye has taken over the world. Tim says that Brother Eye hasn’t won. Not yet. OK, how has he NOT WON? 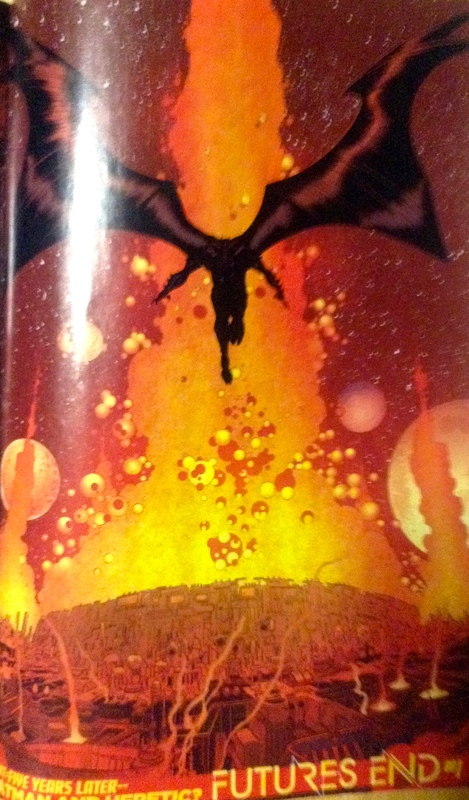 The New 52 universe is ending, and this is the end of the Future’s End comic book. BOO!!! They should have given us a clue about what to read next. And if that something was supposed to be Convergence, then TOO BAD DC. YOU SHOULD HAVE BEEN MORE CLEAR. Maybe I shouldn’t be so mad? Didn’t the other DC Universes in the past come to abrupt decay? I have heard about Superboy Prime punching reality, and am knowledgeable somewhat of the Flash inadvertently creating the New 52 universe, with the old universe just “disappearing.” These worlds are supposed to be revisited with Convergence. Because I am so ignorant of all that, I am just going to refrain. Back in 2011, I was getting interested in comics again. I had discovered “Comixology,” and was reading Conan the Barbarian and other titles lightly. This was new to me…I had never read this stuff before. But I thought it a good alternative to Marvel, who’s take on Spider-Man had pushed me away, and from DC whose universe seemed so large and old that I was intimidated by it. When the news that DC was going to relaunch it’s whole lineup and re-number to #1s came down, I thought, “now is the time.” I began getting the digital copies, and enjoyed it really too much, probably. So I subscribed to the physical copies of the titles I liked best, Detective Comics, Batman and Robin, Batman, Justice League, Action Comics, and Aquaman. Still, this wasn’t enough to make me stop reading. And I have enjoyed “Forever Evil” “Gothtopia”and all of the other “events” that involved Batman. Also, Batman snd Superman has been a really good title, tying back to the beginning of the New 52 with connections to the Justice League story. I wouldn’t know as much about Wonder Woman, Supergirl (Power Girl) or Huntress. Finally, I thought the resurrection of Damien was really good. And am happy, even ecstatic that he is back, and that he has super powers now as a new twist. But DC Comics is voicing dissatisfaction with the New 52 universe. I don’t know why…I guess just re-naming it wouldn’t be enough. I heard things like they are out of ideas. Or there are continuity errors. The idea thing is a croc. But there is no denying there are continuity errors. Batman Eternal is busting with background noise from the Robin Rises story…for instance, this past week Raj Al Ghul referring to Batman’s leaving him in a frozen ravine…and in the same issue Batman looking longingly at one of the future Batmen and saying “Damien…” Other continuity errors have come up as a result of writers leaving and other problems. Geoff Johns just needed to keep a tighter reign on everyone. And maybe that is what’s going to happen. I have been lightly reading “Multiversity.” I actually have the first issue and the guidebook. 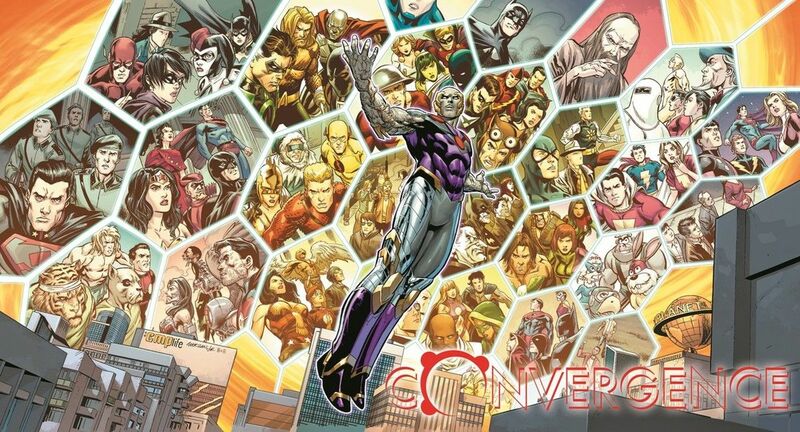 What “Convergence” is supposed to do is do away with the Multiverse, and leave only the continuity established by the DC New 52. They will use this event to correct some inconsistencies. I am OK with this, but I feel a little bit of loss. With the end of the Multiverse, that will take those Earth 3 “Heroes” out of the picture. And what about the “Obama Superman.” He will be gone. No more Earth 2. I never even read Earth 1. The Multiversity guidebook presents a lot of cool characters. Are these all going to be gone? DC never has explained how Masters of the Universe fits into the New 52 universe. He-Man “killed” Superman for crying out loud! But I think I might just step off after the Convergence. Maybe cherry pick the stories that interest me rather than subscribe. Already I am forking over to get to the end of Batman Eternal and Future’s End. I have a ton of comics now. And I will have a complete collection of New 52 Batman books. I hear that Marvel is doing something similar, and if they give us a clean starting point with Spider-Man, I will be back to reading that again.